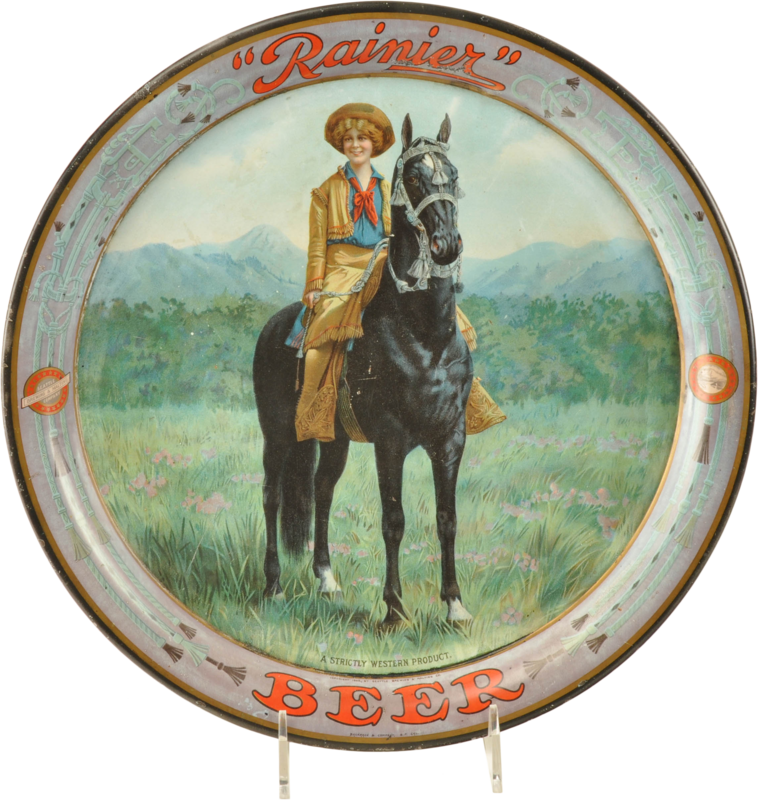 Pre-prohibition advertising tin litho beer tray for Rainier Beer featuring color image of a cowgirl top a black horse and tagline "A Strictly Western Product". Rim border features Seattle Brewing and Malting Company logo and vignette of Mt. Rainier. 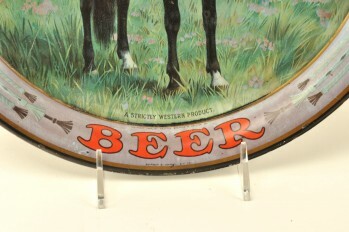 Tray is marked Copyright 1905 By Seattle Brewing and Malting Co. and is manufactured by Bachrach & Company, San Francisco California. 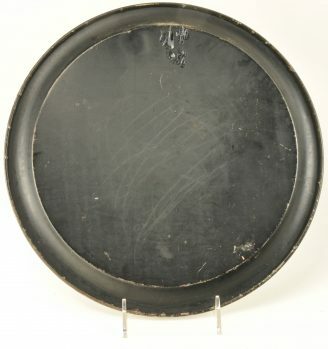 size: 13" dia.